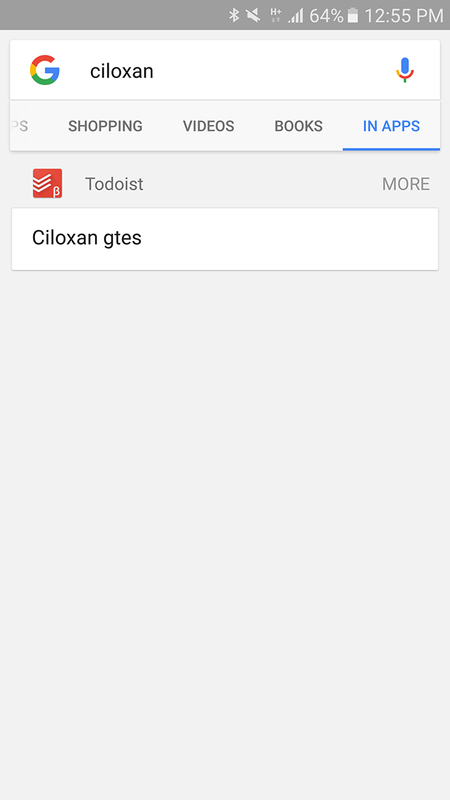 I am eternally grateful for the day I decided to manage my pharmacy's inventory and orders through Todoist. It saves me a lot of time, keeps everything easily accessible and searchable, lets me set reminders for special orders, and helps me and my assistant stay on top of it all even if we're not in the same location. 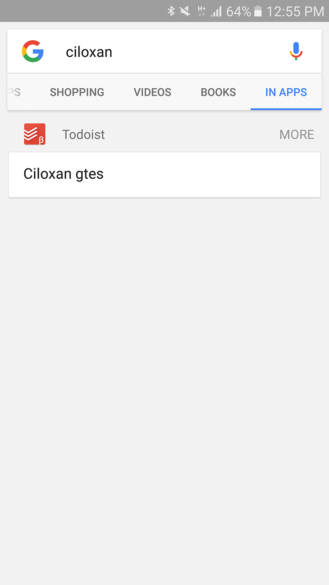 And throughout the years, the service has kept improving and the developers have been quick to adopt new features in Android, providing me with more reasons to love Todoist. </meaningless gushing> Case in point: this update. If you were in the Todoist Beta, you may have seen some of the features that are now coming to the stable release of the app. If not, I'll walk you through what's new. 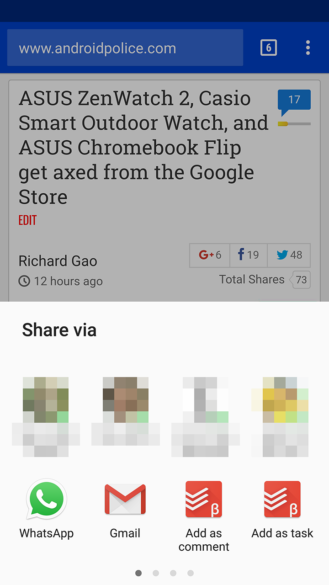 In Apps search, the feature that was announced by Google in late August, is now supported. 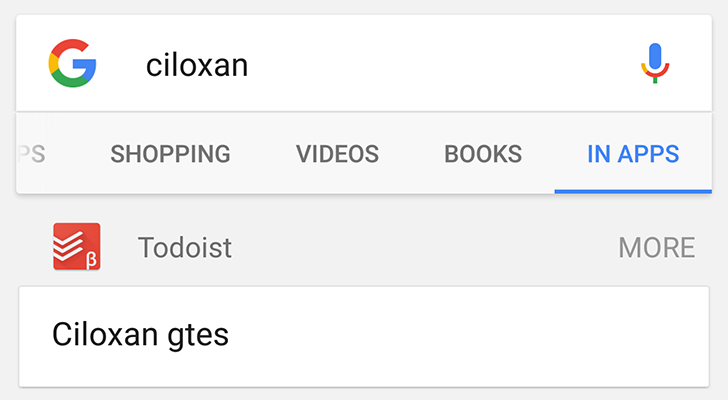 You will get tasks from Todoist when you do a Google Search In Apps, like so. 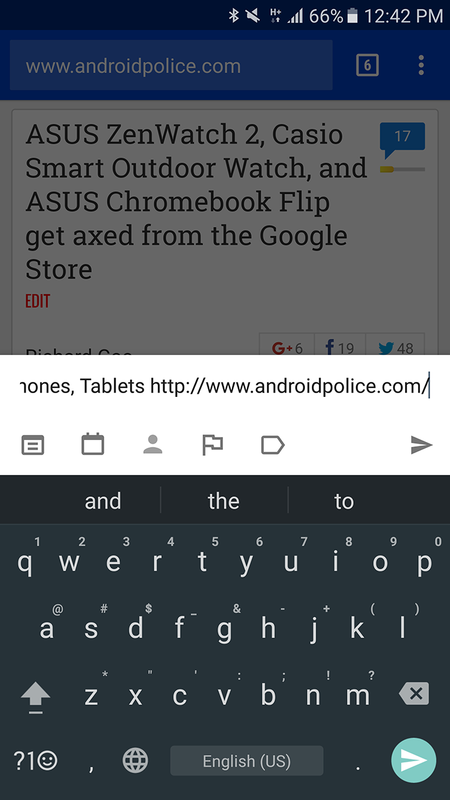 Multi-Window is supported on Android N so you can manage your tasks and have another app open at the same time. You can Quick Reply to comments on tasks from the notification shade on Android N.
Keyboard shortcuts, which were introduced in version 9, are now improved and ready for users who install Android apps on their Chromebook devices. Todoist's intelligent input, which was also introduced in version 9 and has been improving ever since, is now accessible from various places. You can "Quick Add" a task from the Share menu, the new widget, the homescreen shortcut, and the notification shade. The new widget (left) also triggers the new Quick Add screen (right) when you tap to add a task. The update is already live for Todoist's beta users and will be rolling out today to users on the stable release. If you can't wait, here's where you can join the beta.